Yes, we've actually managed to ride a few rides. Alice in Wonderland, Mr. Toad, Peter Pan. The Marine Observation Outpost is a room adjacent to the Finding Nemo Submarine Voyage where you can view a simulation of the ride. It's available for people who have difficulty navigating the stairway into the sub. It's actually a very cool way to get the ride experience in high definition video and great sound. While in Tomorrowland, we also began the great Buzz Lightyear Experiment. We're going to ride Astro Blasters repeatedly during the day and compare our scores as the day wears on. 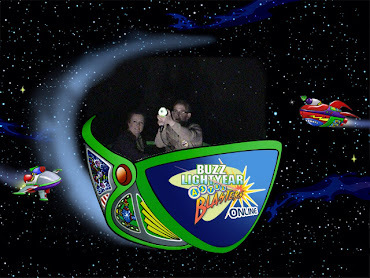 Assuming Disney still lets us ride Buzz at, oh, 3 a.m. or so, we're going to compare scores and see how much the 24-hour delirium affects us. Lisa is sandbagging, so her scores will improve as the day wears on. Maybe. 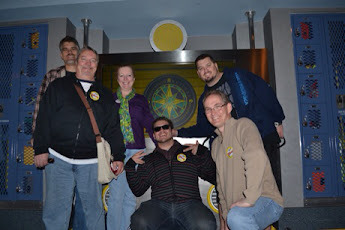 One More Disney Day: We're Here, Now What?